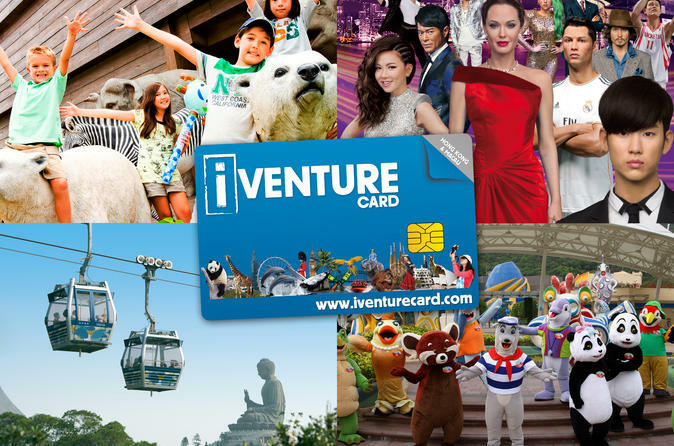 Visit Hong Kong and Macau's leading attractions with this sightseeing pass that provides admission to eight top experiences: seven popular experiences including attractions like Ngong Ping 360 and Sky100 Hong Kong Observation Deck, plus choose one additional benefit, such as Ocean Park Hong Kong or a meal at Bubba Gump Shrimp Co. After your first use of the pass, you have five consecutive days to finish using it. Please note: Get free rechargeable SIM Card with SS78 Credit when you purchase this pass. You will also be eligible to receive a 25% off on purchasing the round-trip Airport Express tickets, the original price is HKD 180.00/person. 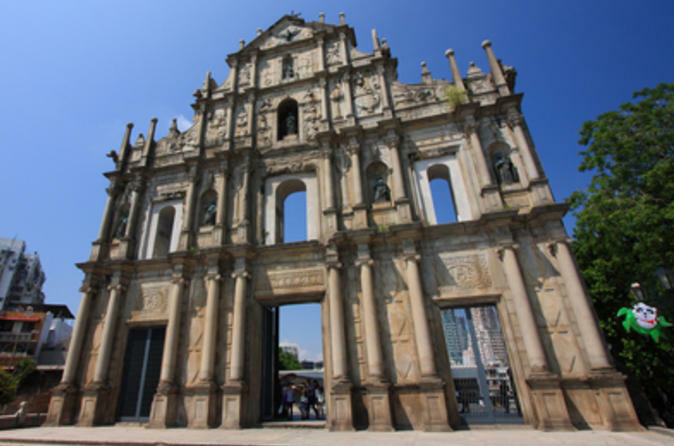 If you’ve wondered what’s unique about the former Portuguese colony of Macau, take a city sightseeing tour with a knowledgeable local guide. Visit historical attractions like A-Ma Temple and the Ruins of St Paul—both UNESCO World Heritage Sites—and see a few modern wonders as well. Travel the Guia Circuit, home to the Macau Grand Prix, and step foot inside the world-famous Macau Casino to experience the premiere card room. Your full-day tour includes lunch as well as round-trip transport from the ferry terminal and selected hotels. 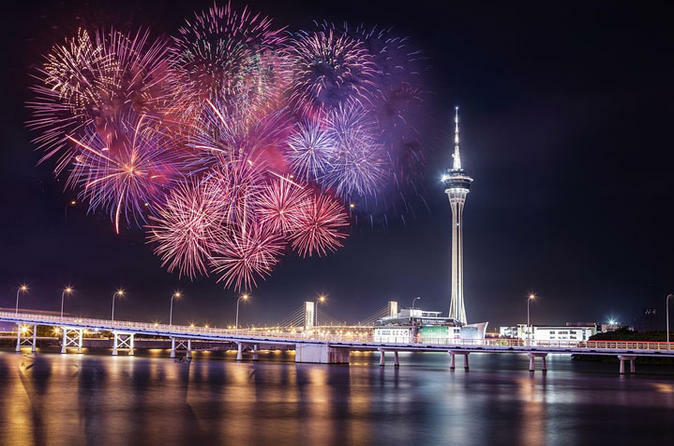 Explore Macau city and the Cotai Strip in a stretch limousine during this memorable experience perfect for couples, families and groups alike. 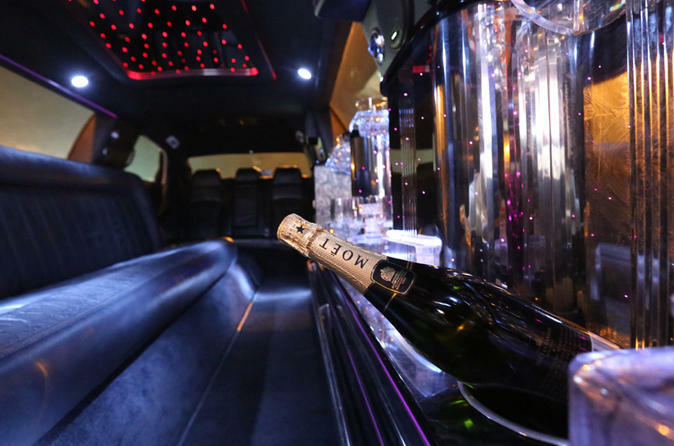 Sip on sparkling wine during your 1-hour or 2-hour drive and make stops at popular casinos and attractions such as the Venetian, MGM or other landmarks you select. This is the perfect way to celebrate a special occasion in this beautiful city! 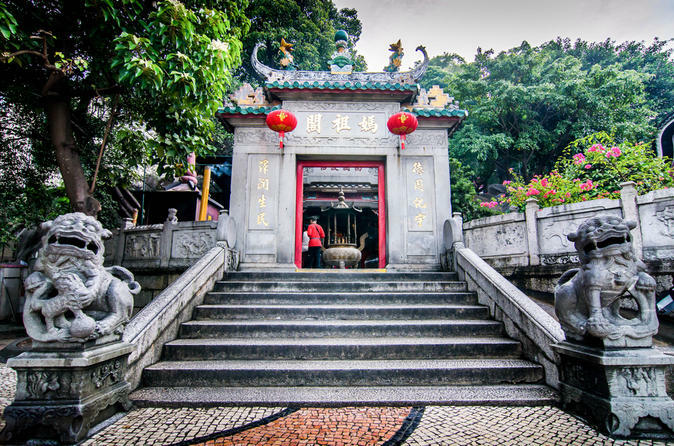 Leave Hong Kong behind for the day and explore Macau on this day trip. Discover the main sights of Macau, a diminutive peninsula in mainland China. Popularly known for its casinos and lavish shopping opportunities, Macau is sometimes referred to as the 'Las Vegas of Asia.' Take the scenic 1-hour ferry from Hong Kong and then explore the area, including A-Ma Temple, the Ruins of St Paul’s and Mount Fortress. Hotel pickup is included in Kowloon. Prepare to be amazed by "The House of Dancing Water", a water show extravaganza staged in a custom-built theater at City of Dreams Macau. 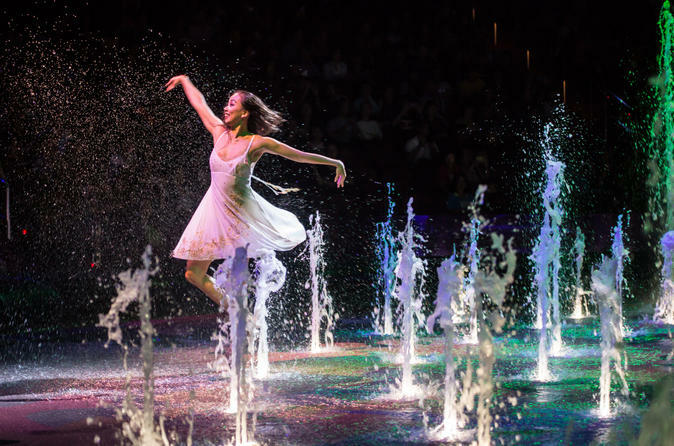 During either an early evening or late evening show, you'll be entertained by an action-packed spectacle that thrills all ages with its daring acrobatics, high dives, motorcycle stunts, colorful water jets and multimedia theatrics. A love story unfolds after a fisherman is swept into a watery land of princesses, pirates and other colorful characters. Independent extended multi-day tour of Hong Kong with four-star hotel accommodation and daily breakfast. Included are full day Hong Kong Island and Macau tours providing a unique opportunity to discover these remarkable cities and experience all the charms, sights and sounds of the orient. 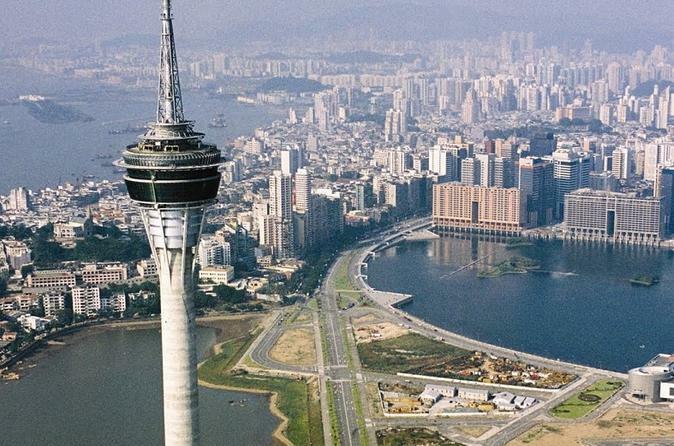 Tap into your inner Spiderman and climb to the highest point in Macau: the top of Macau Tower, which stands more than 1,000 feet in the air. 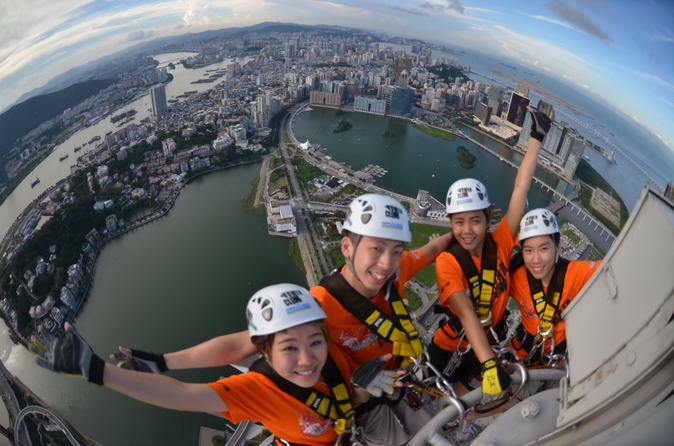 Securely attached to safety cables and accompanied by experienced guides, you’ll climb 328 vertical feet to reach the top at [1074 feet (338 meters)] on interior and exterior ladders, taking in sweeping views of Macau, the Pearl River Delta, Hong Kong and mainland China along the way. Nerves of steel required. Soar to a breathtaking 223 meters above ground and marvel at the panorama from the observation deck on Level 61. You also can have access to the Observation Lounge on Level 58. 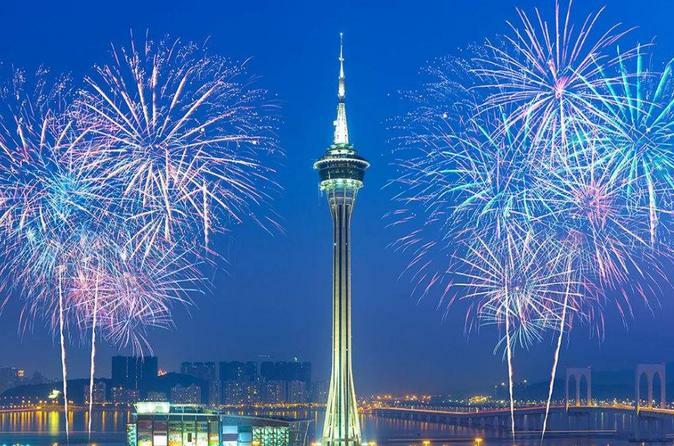 See Hong Kong, Guangzhou and Macau on a 6-day tour with 4-star hotel accommodation, breakfasts and single entry visa into China all taken care of. Enjoy a train ride to Guangzhou and follow a guide on a tour of Zhenhai Tower, Chen Clan Academy and more, as well as a dinner cruise on the Pearl River. 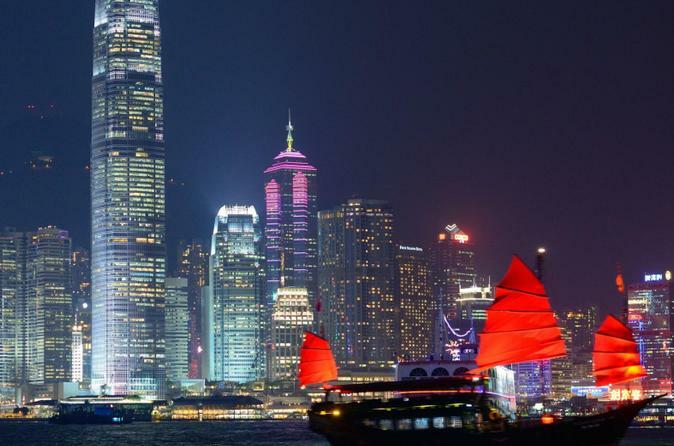 Then head to Hong Kong for an evening tour and dinner on a cruise dinnner liner on Hong Kong Harbor before spending the day in Macau to discover its World Heritage sites. 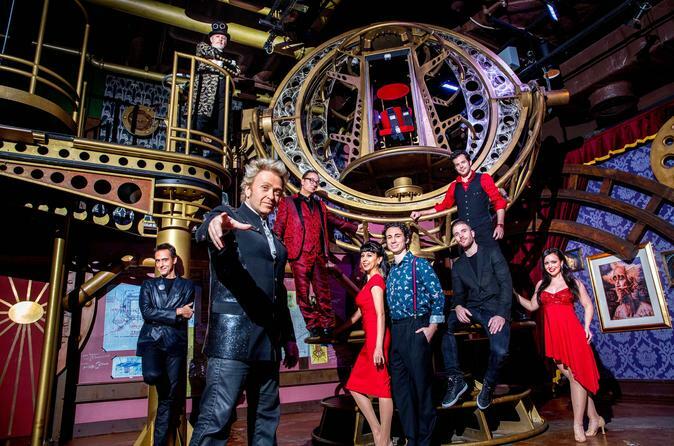 Be amongst the first to experience the show that is set to become Asia's top magic performance. 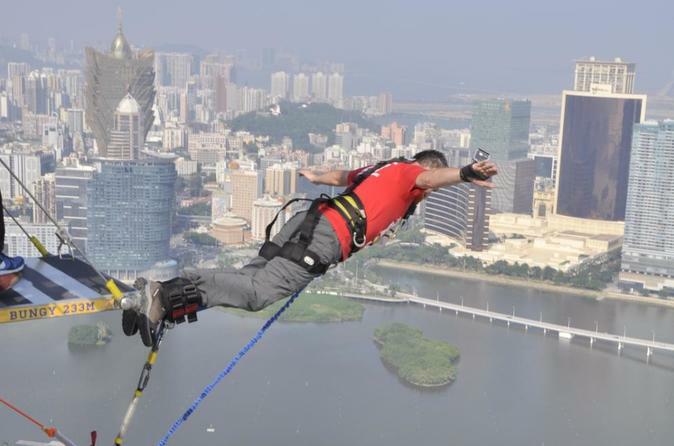 Kick your adrenaline into high gear on the highest commercial bungy jump in the world: the 764-foot jump at Macau Tower. You have the choice to jump during the day or at night, with views that extend from Macau to the Pearl River Delta and mainland China. Add on costume and GoPro camera rentals, if you wish (additional fee), or purchase high-quality video of your jump. All packages include necessary jump gear, a commemorative certificate, T-shirt and discount card for other perks. Take a timeout from the Macau tourist trail. Discover the fun of science with a series of original exhibitions, an award-winning planetarium and fascinating live demonstrations! This independent 7-day tour takes you to three of China’s most sought-after destinations: Hong Kong, Guangzhou and Macau. In addition to sightseeing tours in each city with English-speaking guides, visit Victoria Harbour in Hong Kong, take a Pearl River Delta evening cruise in Guangzhou, and visit UNESCO World Heritage Sites in Macau including A-Ma Temple and the Ruins of St Paul. You’ll stay in 4-star hotels and have plenty of time to explore more on your own, with tips and recommendations located in your itinerary package. All transportation for scheduled activities and tours, daily breakfasts and entrance fees to all attractions listed in the itinerary are included. 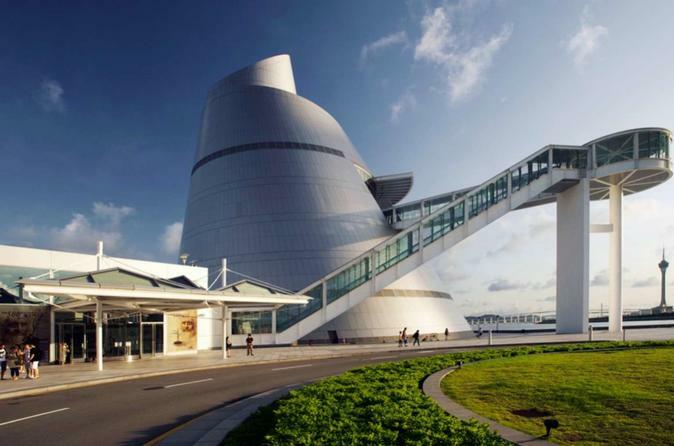 Discover an amazing world of 3D art and have hours of fun taking pictures at the first 3D Museum in Macau. 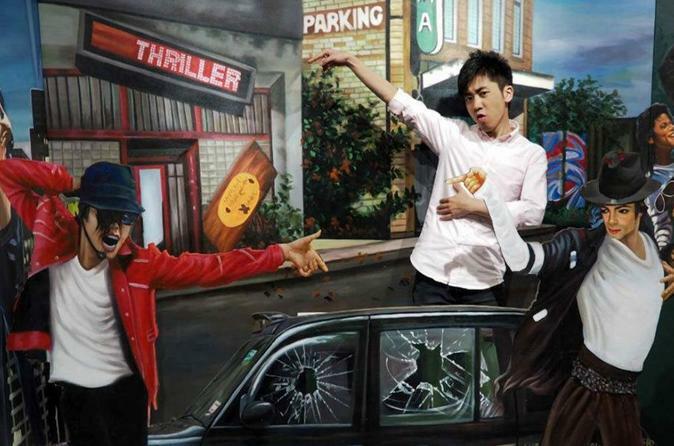 Explore the museum's six interactive 3D zones including the world's first 3D Michael Jackson exhibition, a pre-historic gallery zone, plus French, Chinese and exclusive Macau zones. Step into paintings, direct your own photographs and take a ton of pics that fool the eye. Shenzhen is on the eastern bank of Pearl River, and Macau is on the western bank. The most convenient transportation can be made by 1-hour ferry. 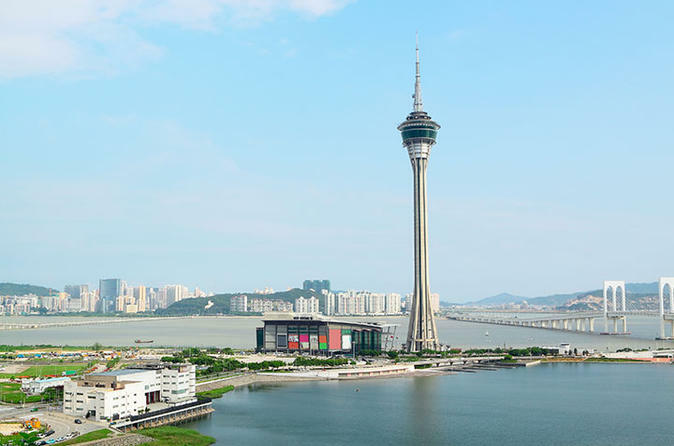 This wonderful day tour will include one way ferry ticket from Shenzhen to Macau (reserved in advance), and your tour guide will welcome you upon your Macau arrival. Enjoy the highlights of Macau which includes the Temple of A-Ma, Ruins of St. Paul's, Mount Fortress, Old City Walls and Macau Tower. Your will be transferred to your hotel in Macau or Macau Ferry Terminal after the tour. 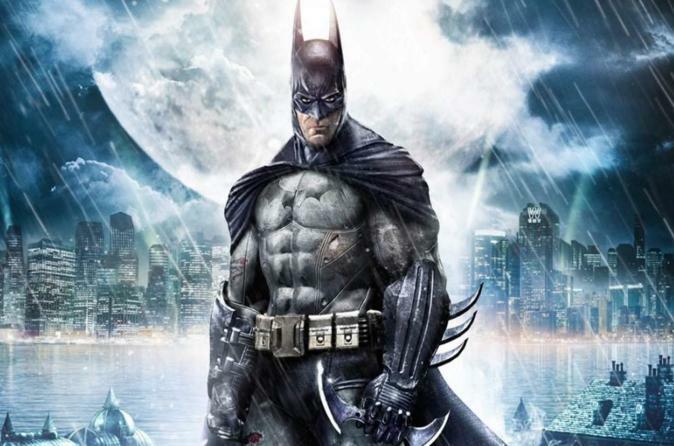 Swoop into Gotham with Batman in a heart racing adventure. Immerse yourself into the action on the 4D simulation ride with realistic visuals and state of the art sound systems. Battle beside the legendary Batman in a showdown against The Joker, Two-Face and Bane who are out to create conflict in Gotham. Fly through the city in the Batplane and race in a high speed car chase in the Batmobile. As the first ever 4D ride with the DC Comic character, it's up to you and Batman to save the city! Make the most out of your time in Hong Kong by exploring nearby Macau. This full-day tour takes you to the highlights, the stunning sights and the legendary landmarks of this former Portuguese colony on the Chinese mainland. See the Temple of A-Ma, Ruins of St. Paul's, Mount Fortress, the Old City walls and Macau Tower. 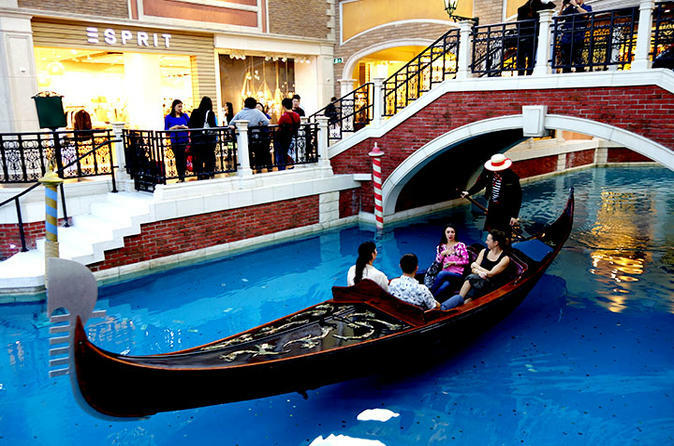 Afterwards, visit the Venetian Macau casino, the largest single structure hotel building in Asia. Enjoy 4 hours on your own to gamble, shop and/or eat at this Las Vegas-inspired property along the Cotai Strip. At the end of the evening, take the ferry back to Hong Kong and return to your hotel on your own. Hotel pickup at selected hotels in Kowloon, buffet lunch, transport by air-conditioned coach and round trip ferry tickets are included. 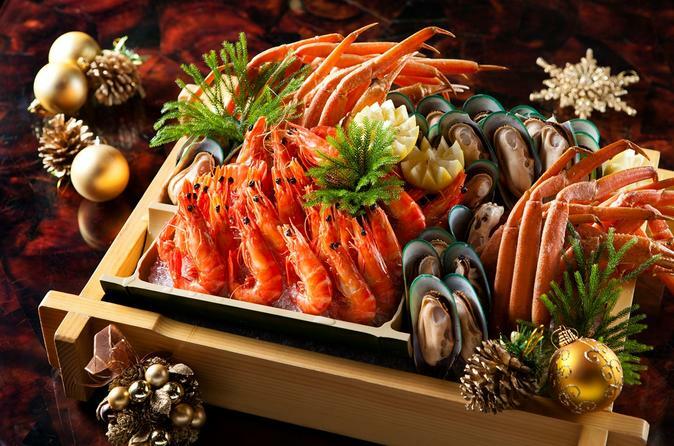 Savor an unlimited buffet spread of the finest seafood at Mistral restaurant at the Sofitel Macau at Ponte 16. 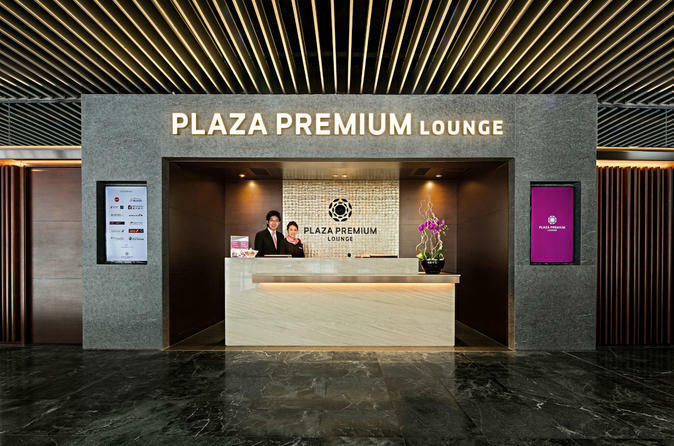 Enhance your travel experience at Macau International Airport in the comfort of the Plaza Premium Lounge. Escape the hustle and bustle of the airport and enjoy high-quality service in a haven of comfortable seating. Take advantage of high-speed WIFI, complimentary food and a selection of beverages for optimal convenience. Choose from a 3- or 6-hour package, depending on the length of time you need.